The Wild Goose State Trail runs from Clyman Junction in Dodge County to the City of Fond du Lac in Fond du Lac County, a distance of 35 miles. The trail is an abandoned Chicago and Northwestern Railroad right-of-way. The trail was a joint effort of the Wisconsin DNR and the two counties. Some of the private land had to be purchased by the counties. A seven mile section runs through the Town, passing through the Village of Oakfield, the community of Oak Center, and the Horicon Marsh Wildlife Area. 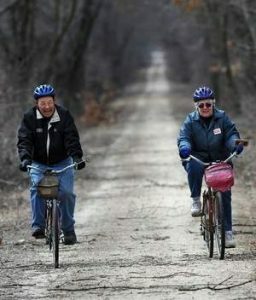 The trail is used for hiking, biking, and snowmobiling in Fond du Lac County and the county maintains the trail. 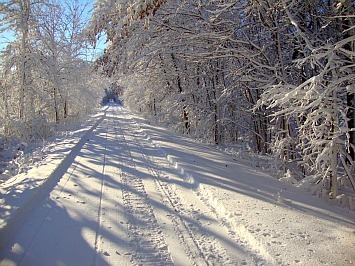 In the winter the trail is groomed by the Twin Oaks Snowmobile Club.